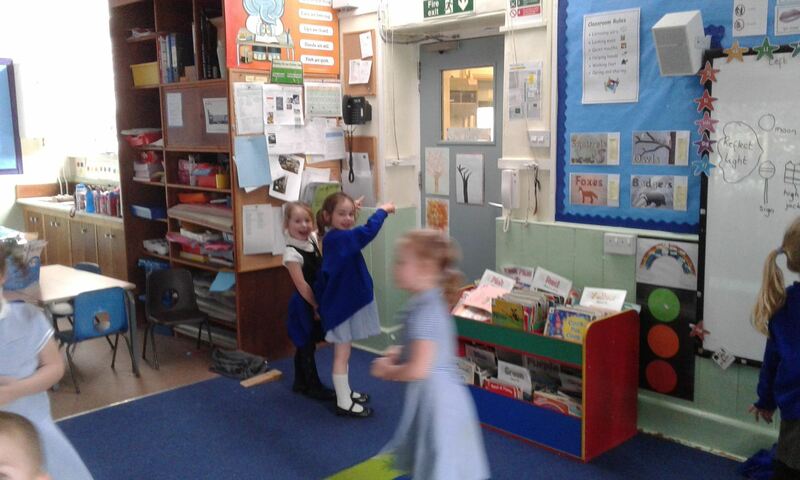 Class 1 had a very exciting afternoon today, when we welcomed our pre-school children in to class as part of their transition into Reception in September. 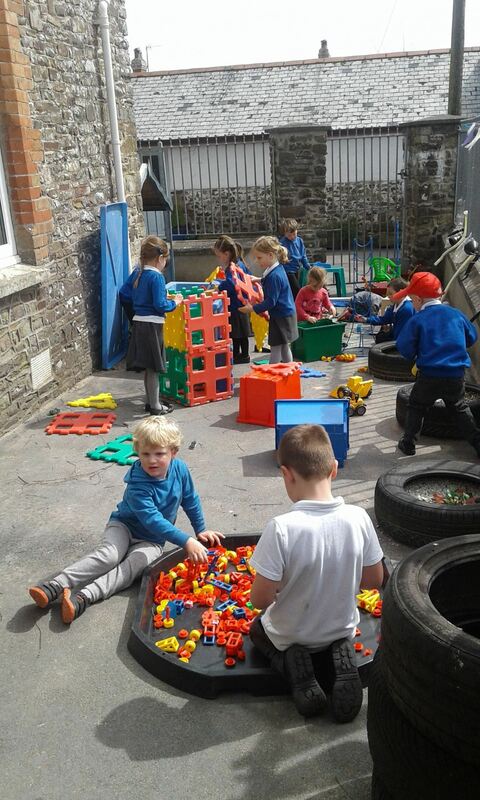 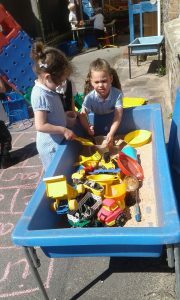 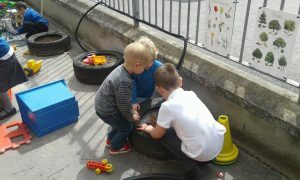 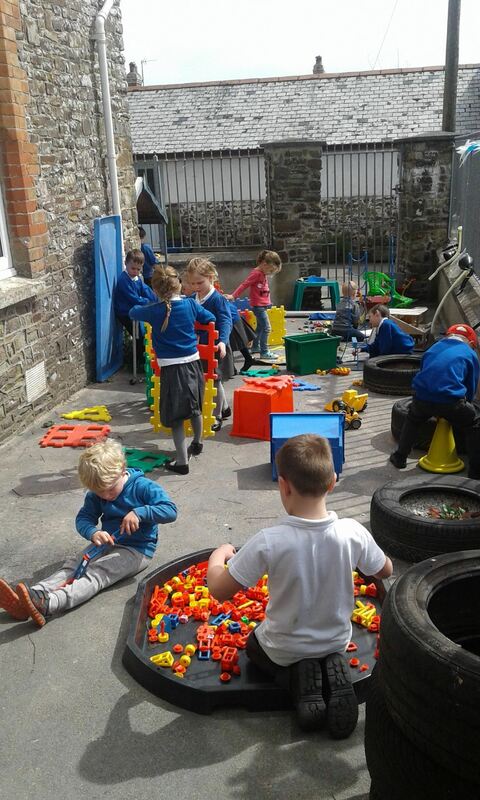 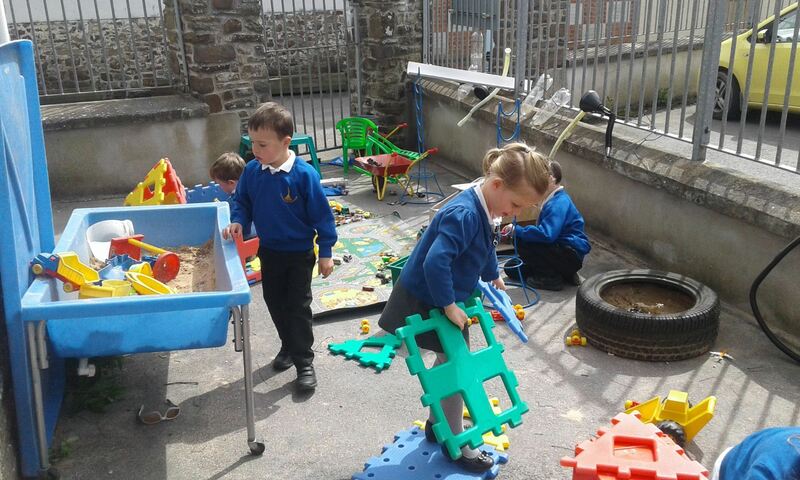 We are very lucky at Bishops Nympton to have our own pre-school on site. 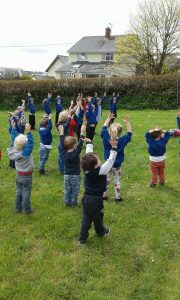 The pre-school and infant class meet up once a week to do Leap into Life or Yoga, and at other times to do activities related to our topics. 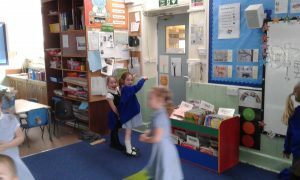 This ensures a smooth transition into Reception. 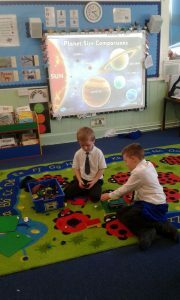 Class 1: An afternoon of science! 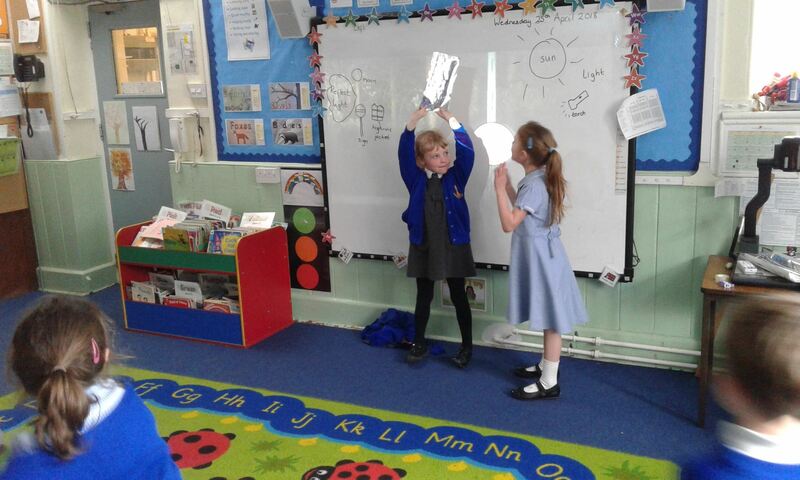 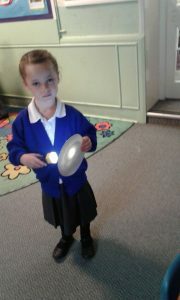 Class 1 had a lovely afternoon learning all about sources of light. We learnt that some things make light, like the sun and torches, and other things reflect light, like the moon and shiny paper. 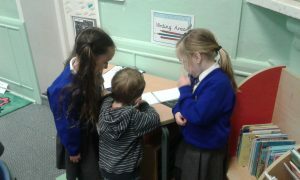 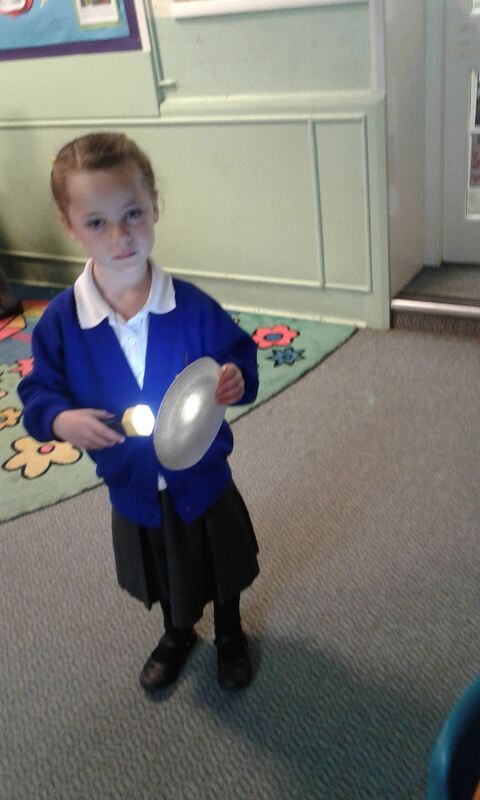 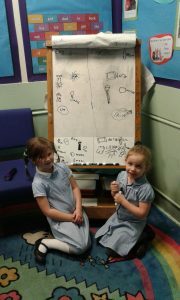 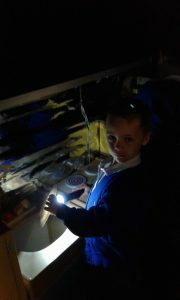 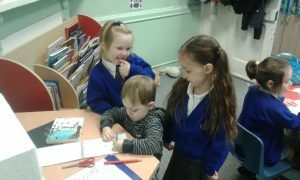 The children spent a fun afternoon investigating sources of light and reflective materials in and around the classroom! 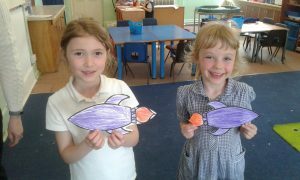 Class 1: Summer Term in Space! 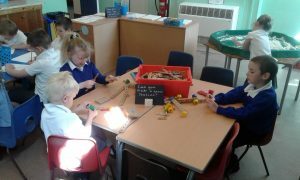 We have had a fantastic start to the summer term in class 1. 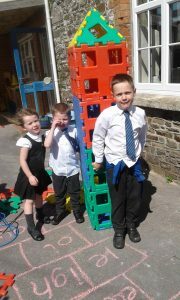 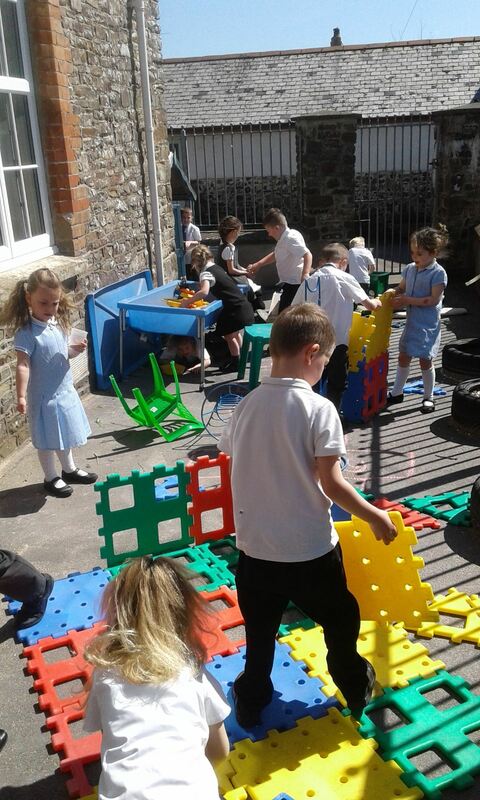 We made the most of the sunshine and spent lots of time outside enjoying it and building space rockets. 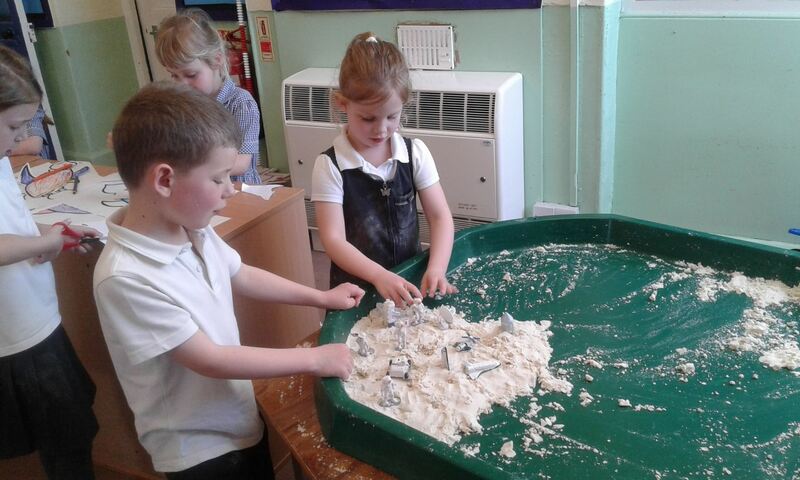 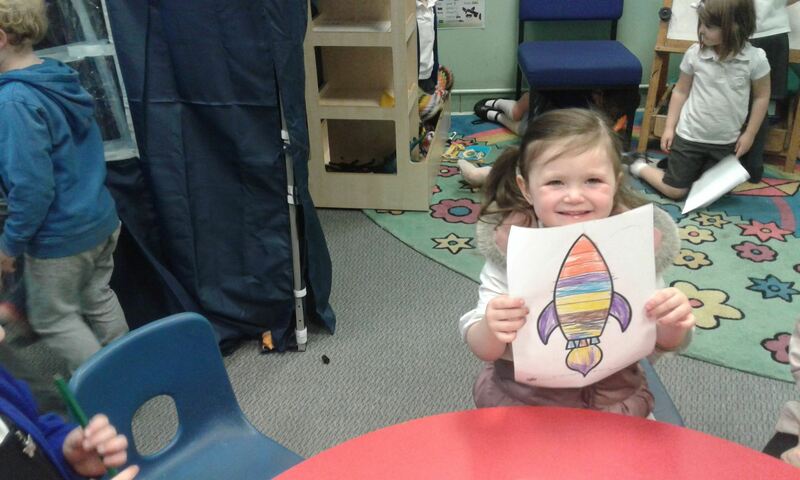 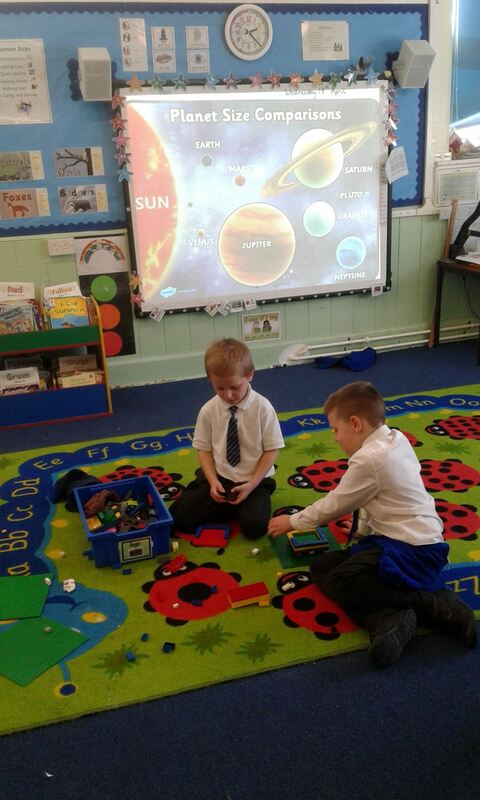 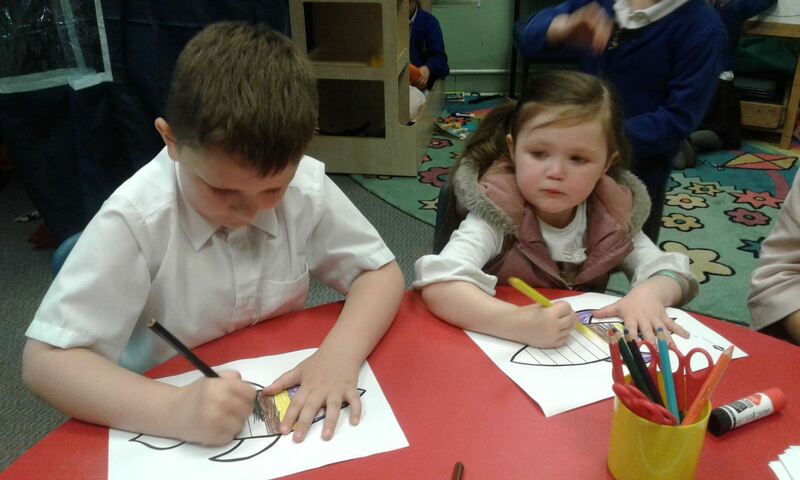 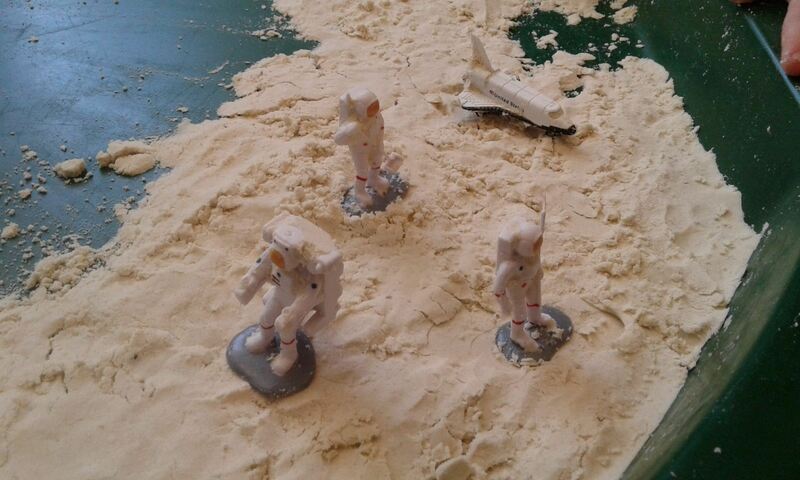 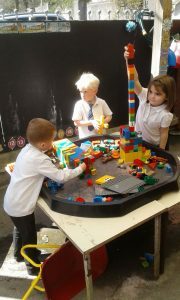 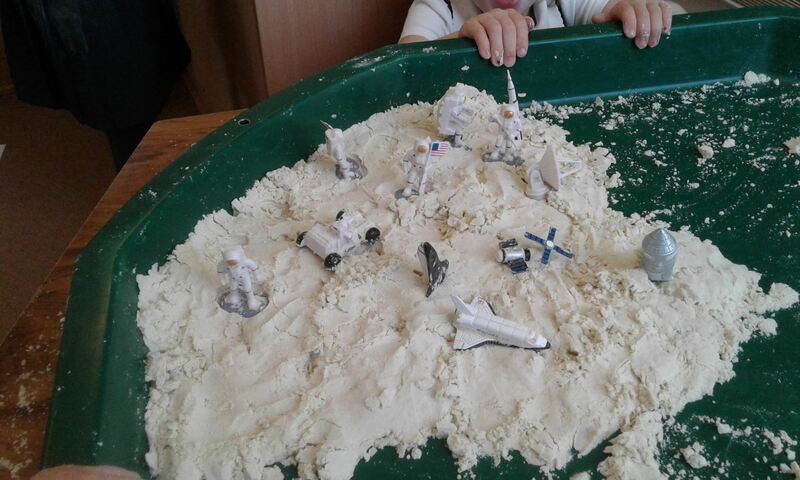 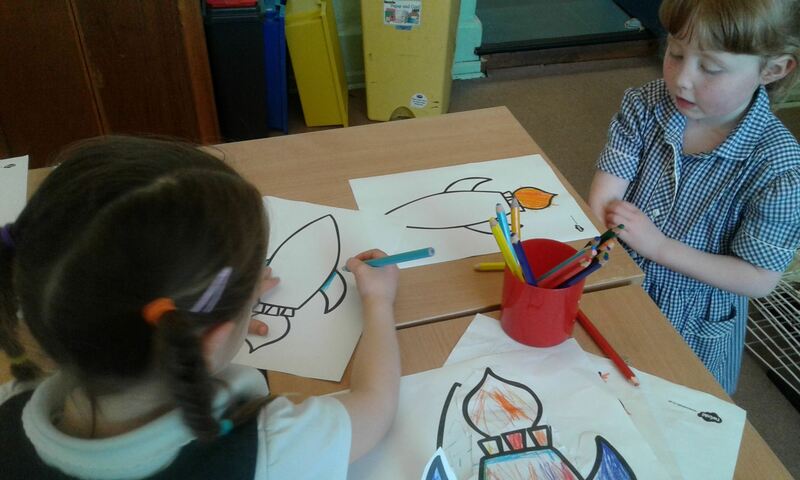 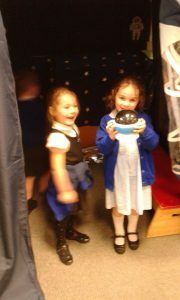 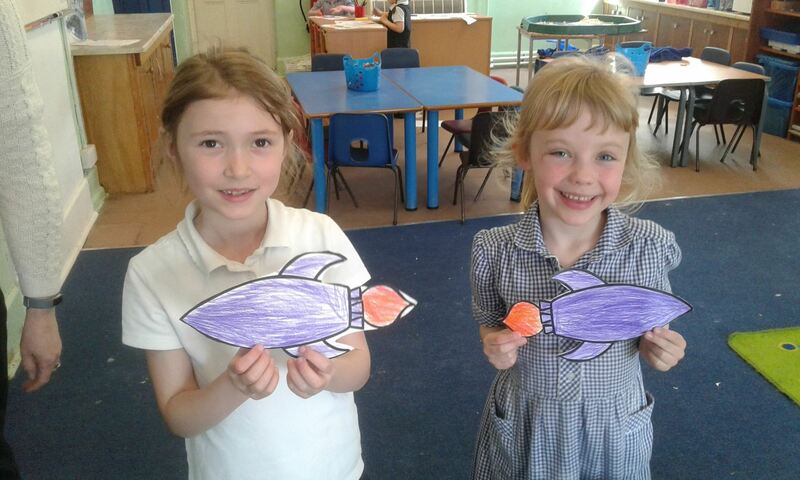 The children are really enjoying the new topic and learning about life inside a space rocket. 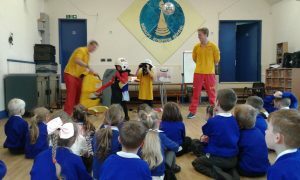 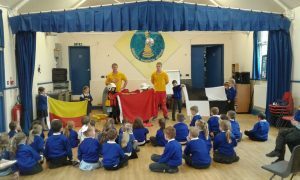 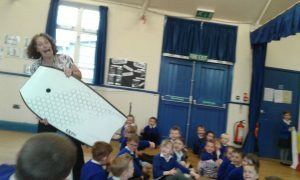 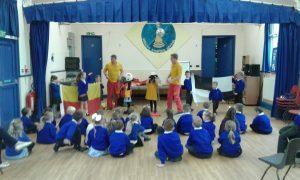 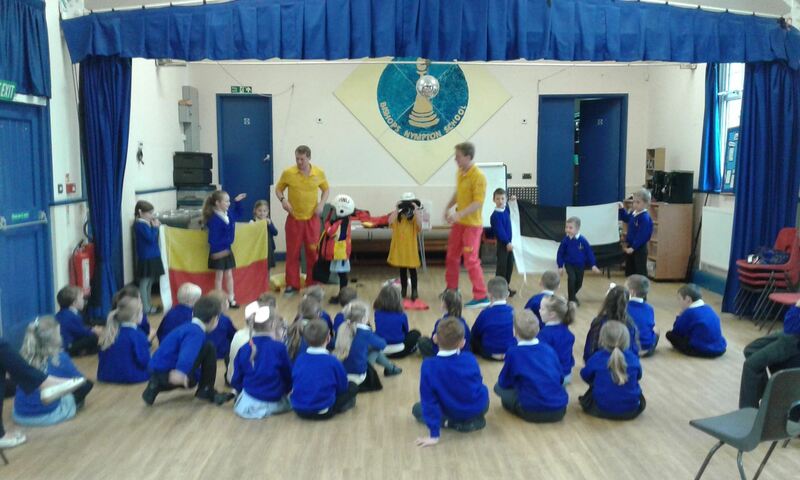 We had an exciting visit from the RNLI today to talk to the children about beach safety. 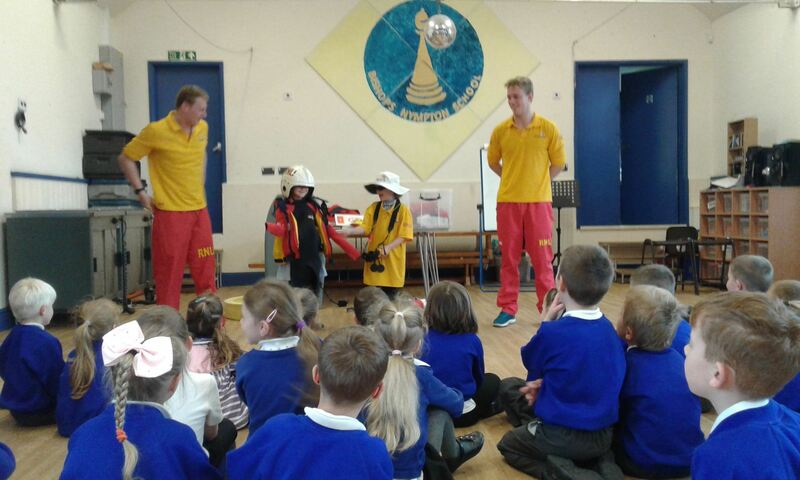 The children loved joining in and it was very informative about how we should stay safe on the beach! Poor Mrs Hancock got swept away in a a rip tide, but thankfully lifeguards Aurelia and Eve were there to save the day – phew! 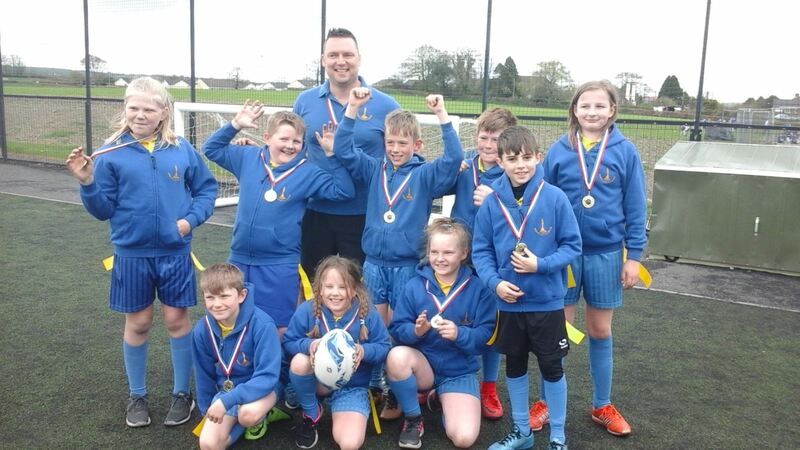 Our loyal supporters witnessed a dominating Tag Rugby display in this year’s SMCC Tag Rugby tournament. 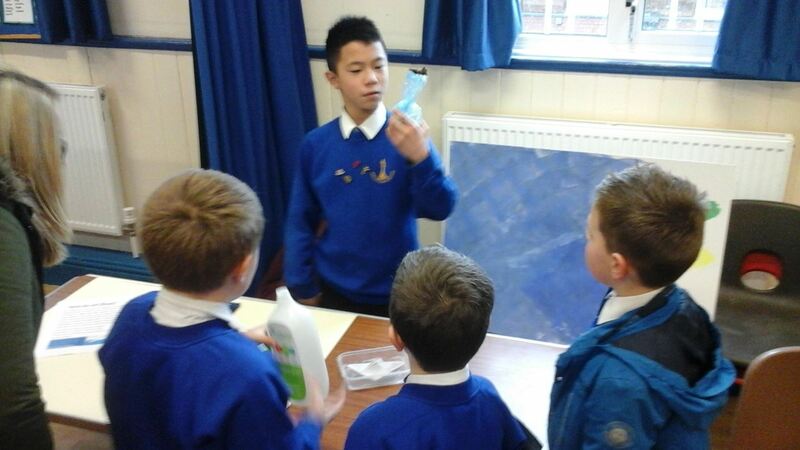 Our players were well organised defensively and showed great attacking flair with the ball in hand. 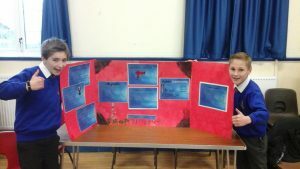 An 11 – 2 victory against South Molton gave us the early platform to build upon, followed up with 9 – 1 and 9 – 3 victories against Chittlehampton and Multi Academy Trust. 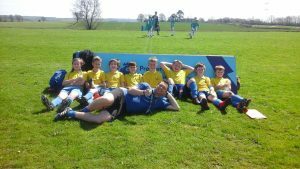 Our semi-final place guaranteed we were keen to top the group with victory against High Bickington which we secured with a 5 – 1 win. 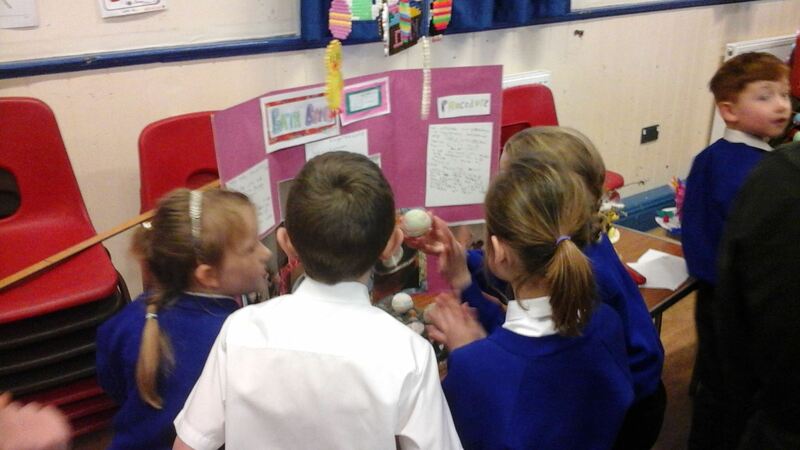 Full of confidence, we went into the semi-finals with the belief that we could win the whole competition. We went back to basics to ensure that we remained a difficult team to beat. 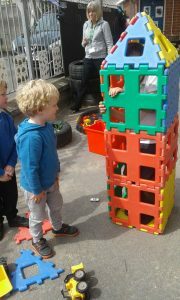 With a comfortable lead at half time we reverted back to our more stylish attacking style of play winning the game 13 – 6. 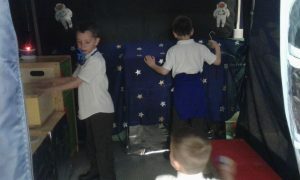 A tense and tight start to the final against Brayford with both teams coming close to scoring. 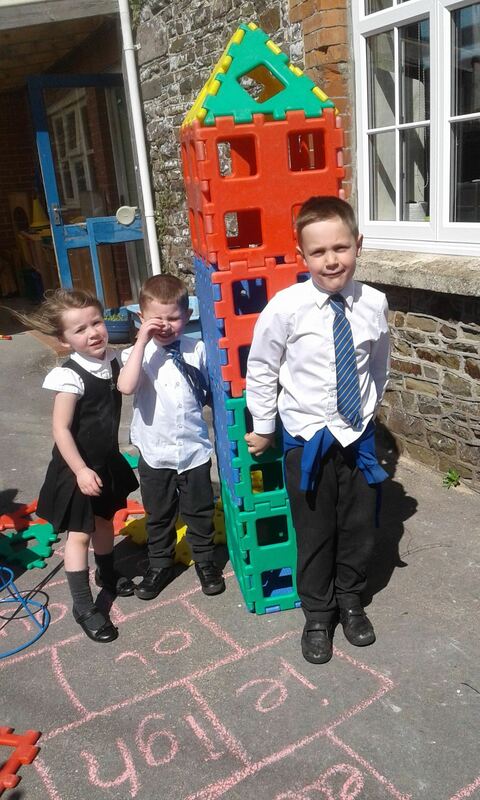 Our defensive structure remained strong and helped us to build momentum during the game. 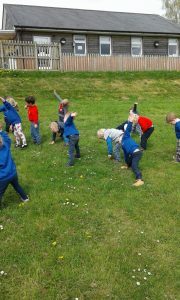 We proved to strong an outfit for Brayford to deal with and ended our dominant tournament display, winning the final 8 – 4. 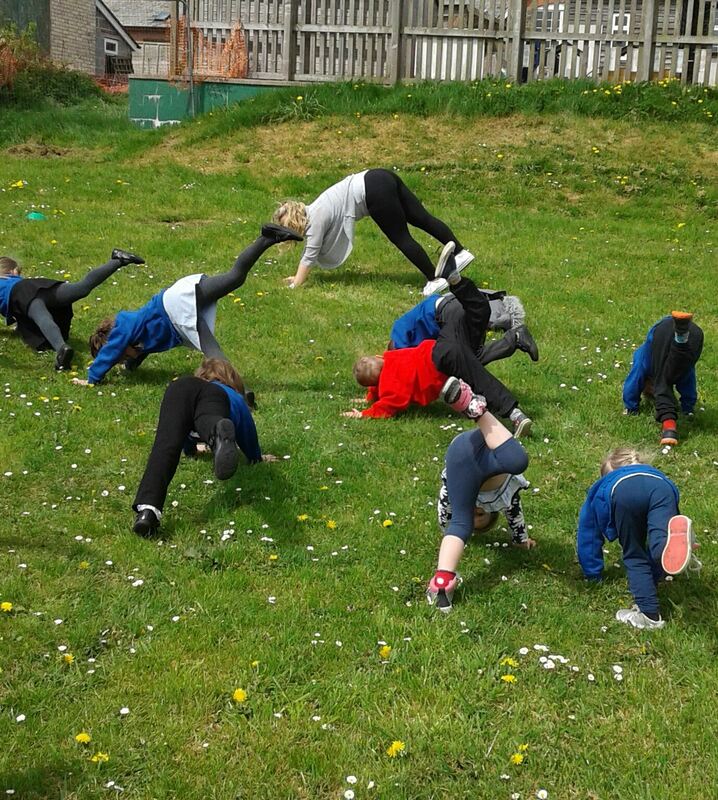 Back to training with winners medals around our necks, but an understanding that there is now more hard work to be done in preparation for the North Devon Finals. 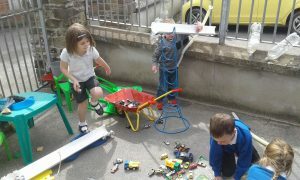 With the sun bearing down on us, the local footballing world converged on SMCC on Friday 20th April. With coaching staff from: Exeter City F.C and Plymouth Argyle F.C; representatives from the football association and the 25KG solid silver Premier League Trophy in attendance, this was the most high profile sporting fixture we had ever attended. The Premier League Primary Stars football tournament, North Devon leg was a fantastic opportunity to test our credentials against the very best football teams in North Devon. The high profile of the tournament brought together schools from all over Devon. 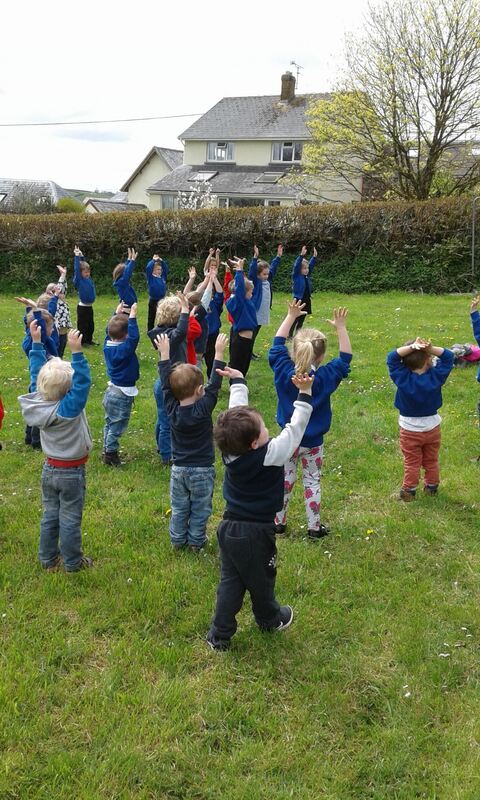 We started brightly, taking a 1 – 0 lead in our opening game against local rivals South Molton. We kept them at bay for some time before our resolve broke, going down to a 4 – 1 loss. Same story in our second game. 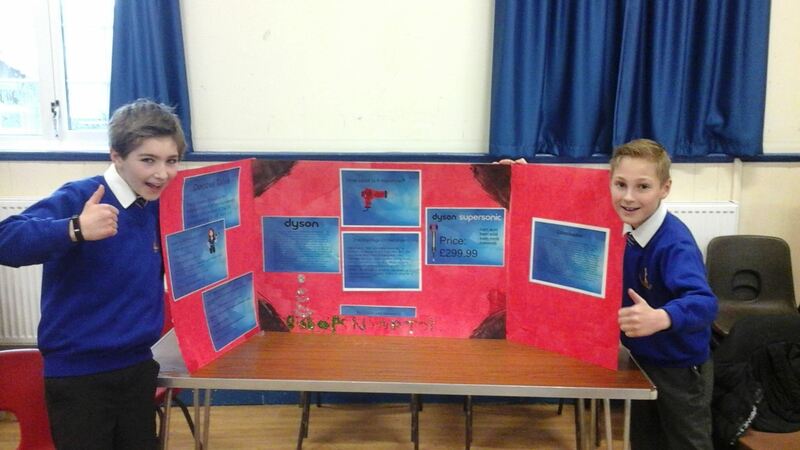 A much improved performance against a very talented Newport Academy. 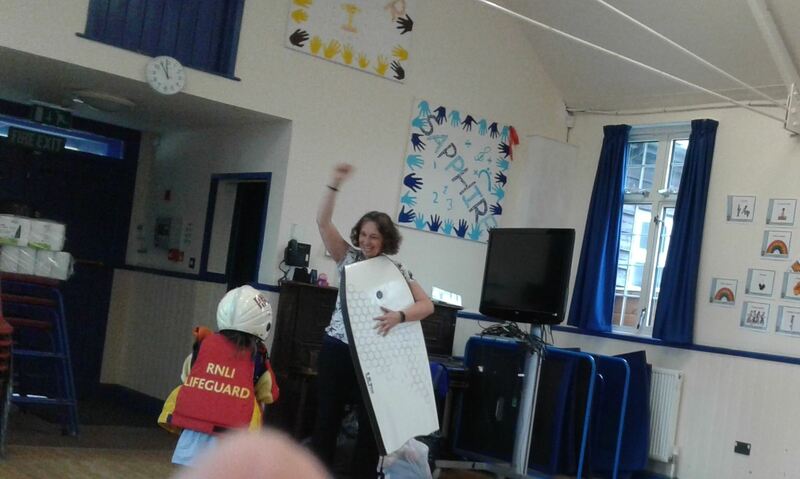 Losing 4 – 1 to the eventual tournament winners was a brilliant result for us. Newport had convincing victories of 9 – 0 and 7 -2 on their way to the trophy. 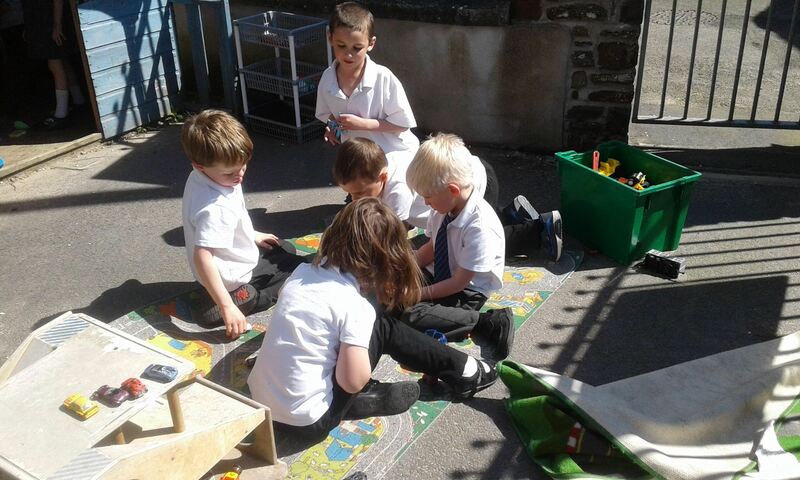 It was a scorching hot day and our dogged players had no breaks in between matches. 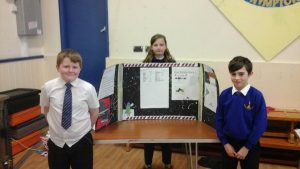 Red faced and already jaded by their efforts (and this was just the supporters) our third match would easily have made the highlight package on Match of the Day! 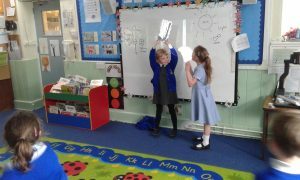 It was an end to end game with both sides having chances. Some stunning saves by our goalkeeper kept us in the game on more than one occasion. 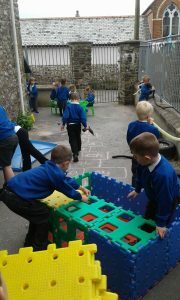 Chulmleigh proved to be the better side though winning the game 3 – 1. 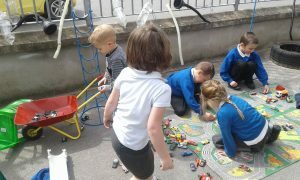 Having played football in the heat for over an hour and half, our players had to pick themselves up for one last effort. We knew we could not go any further in the competition but we were determined to take home a result from this prestigious competition. 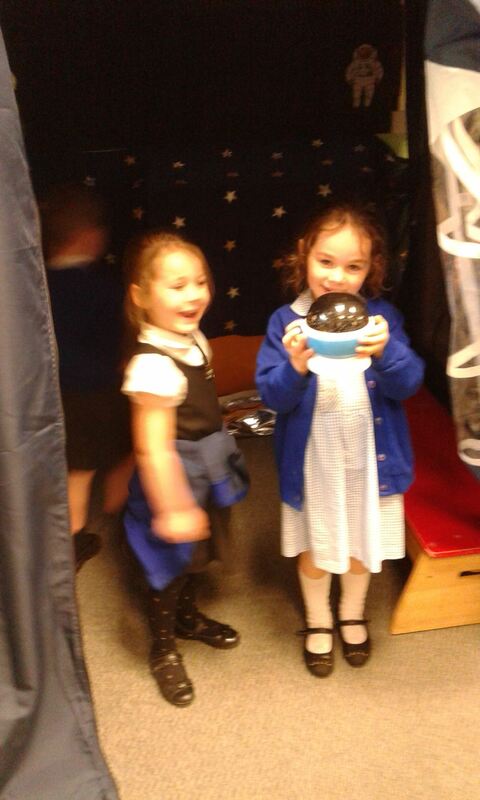 As ever, they didn’t disappoint. 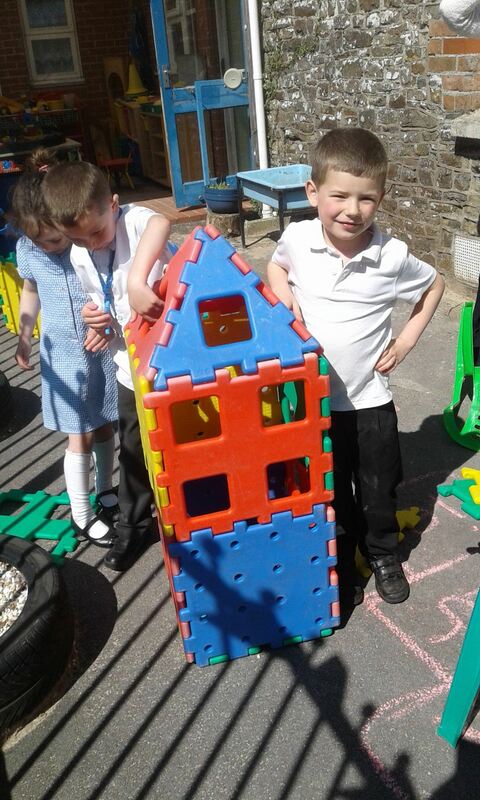 A huge final effort was made, playing our most attractive football of the day. 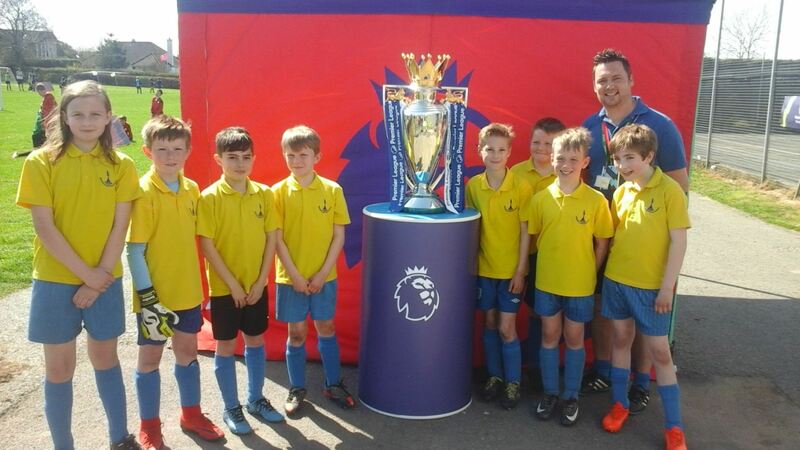 A well-deserved 3 – 0 victory over St Petroc was our reward followed by a photo with the Premier League trophy. 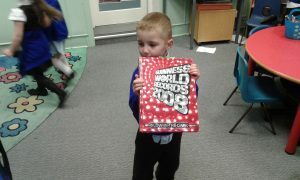 I am so proud of all the players. Several referees commented on our children’s attitude on the pitch and the overall effort without breaks in the heat was phenomenal. 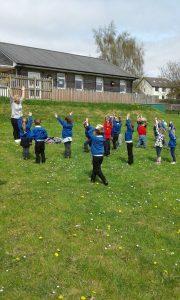 This afternoon we went out into the school field with the reception children. 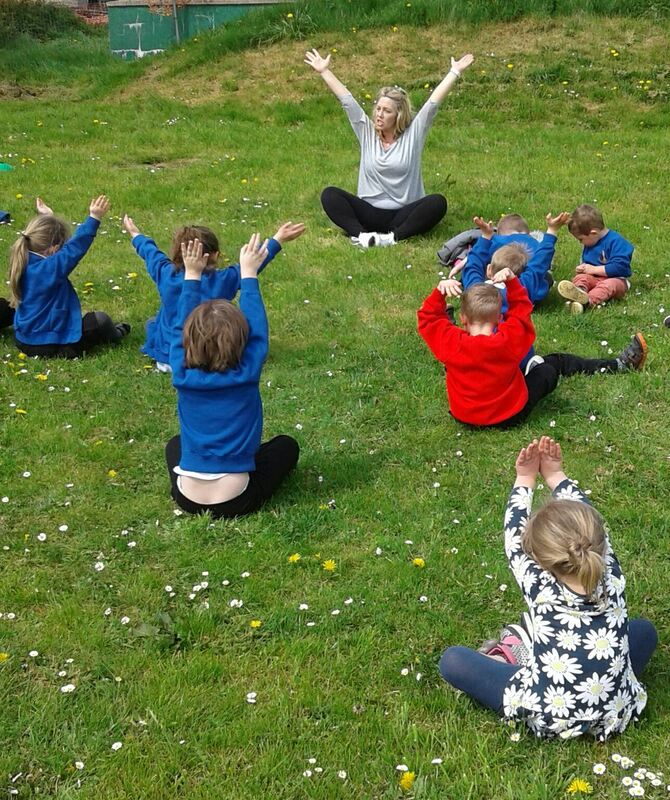 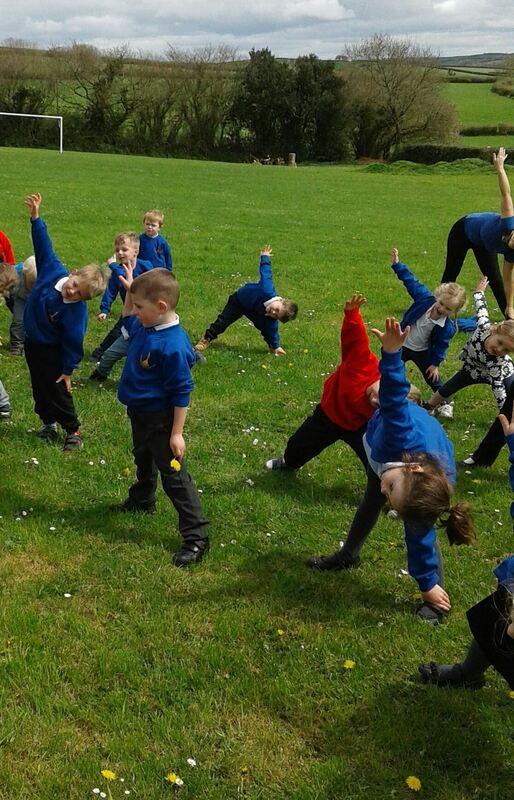 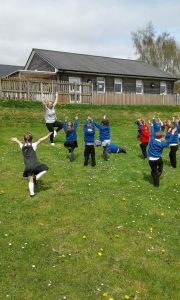 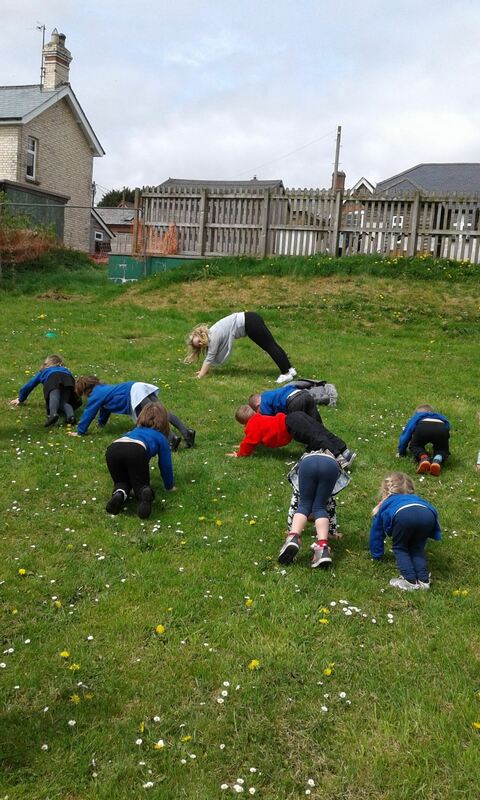 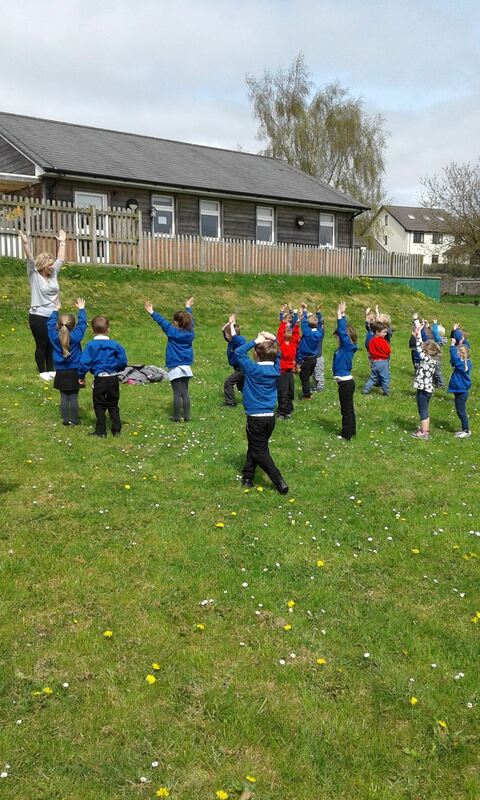 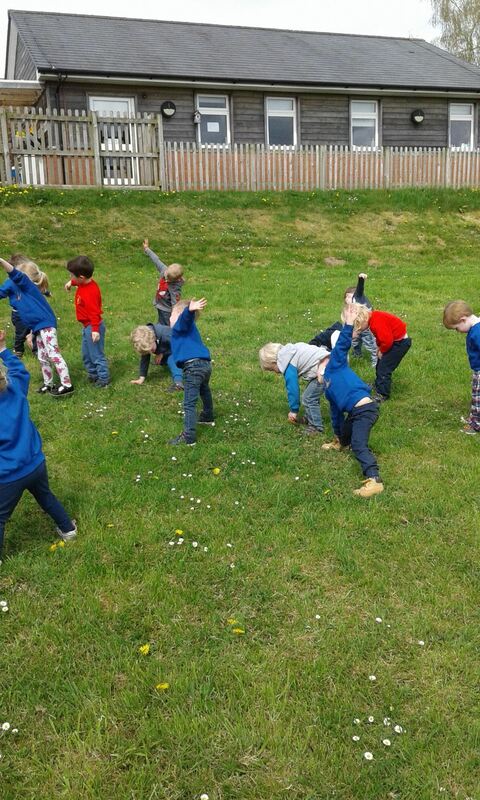 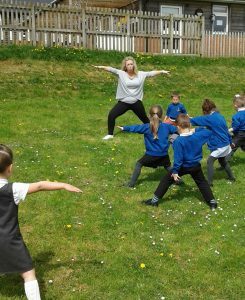 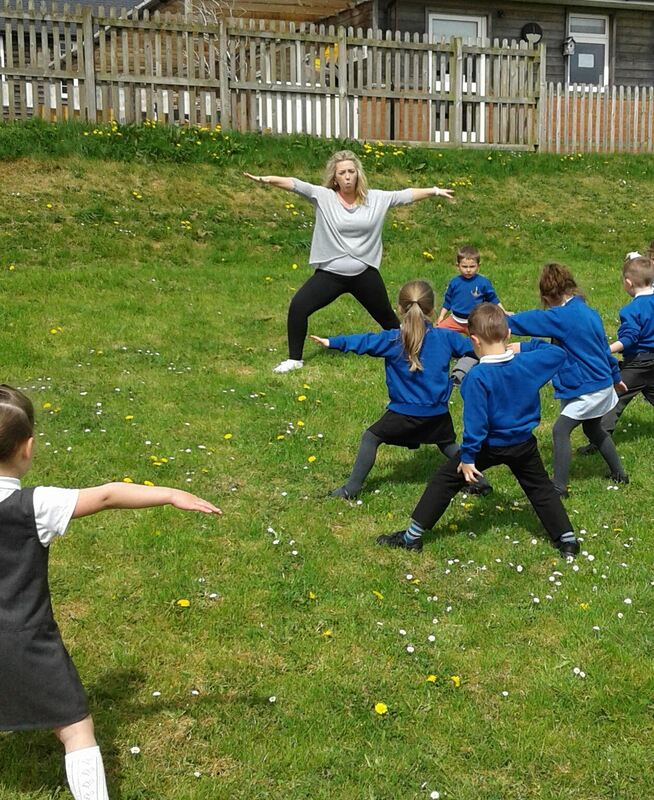 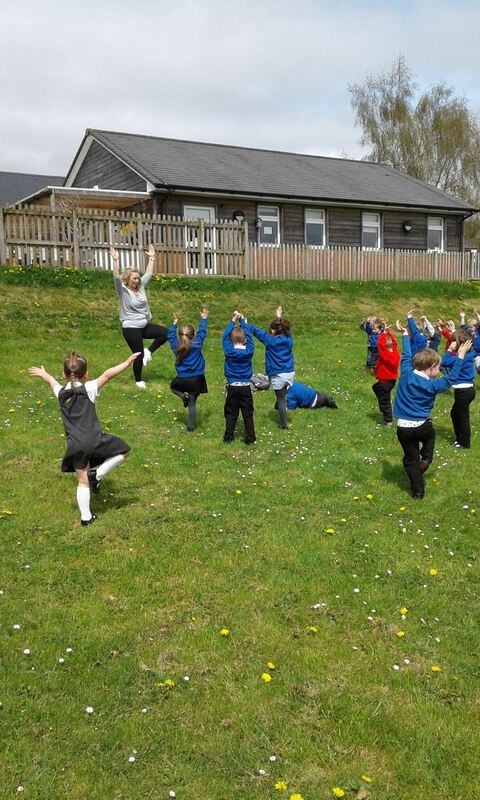 Sam was teaching the children some new yoga poses following the success of our garden yoga last year. All of the children loved joining in and all worked really hard to try and get the poses right. 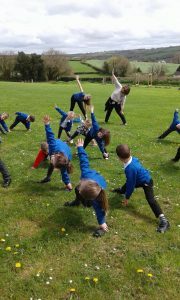 We will continue to teach the children yoga on a Monday afternoon for the next half term. 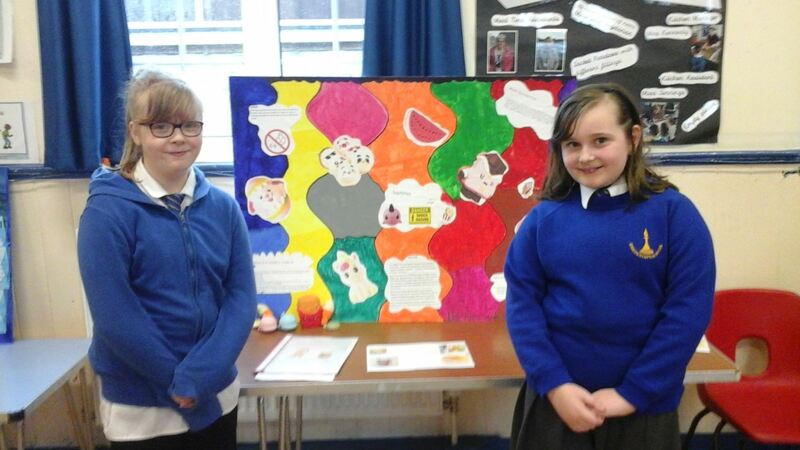 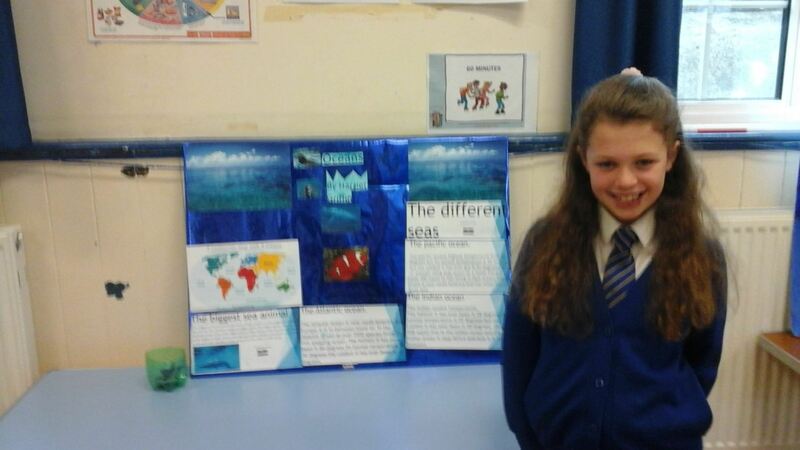 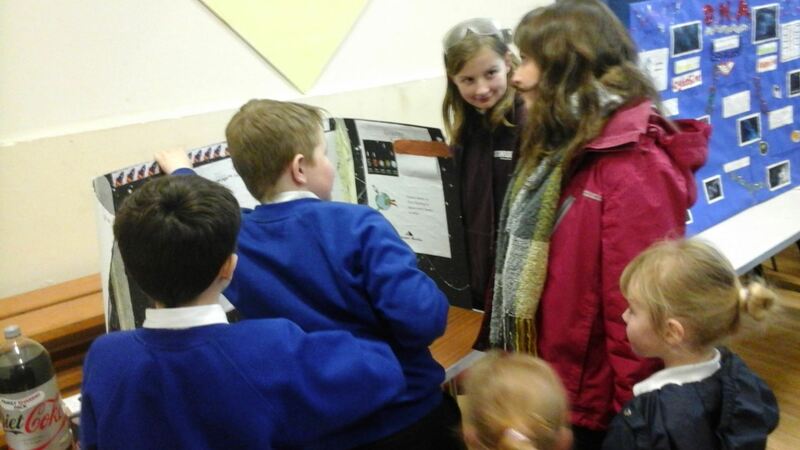 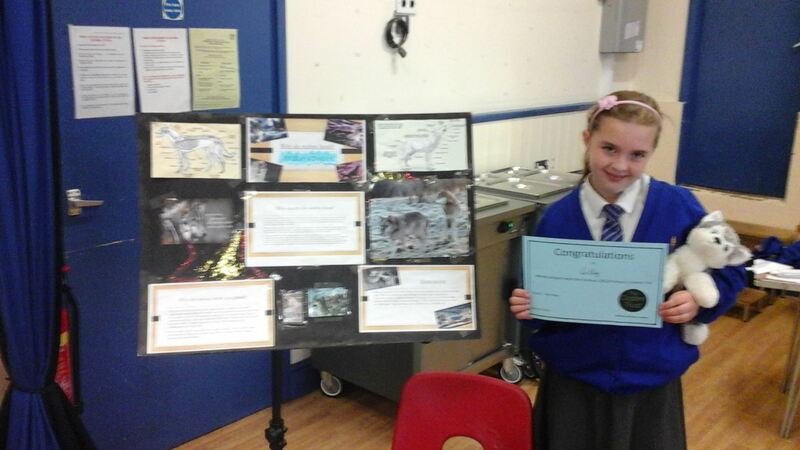 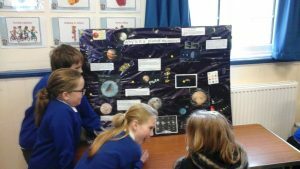 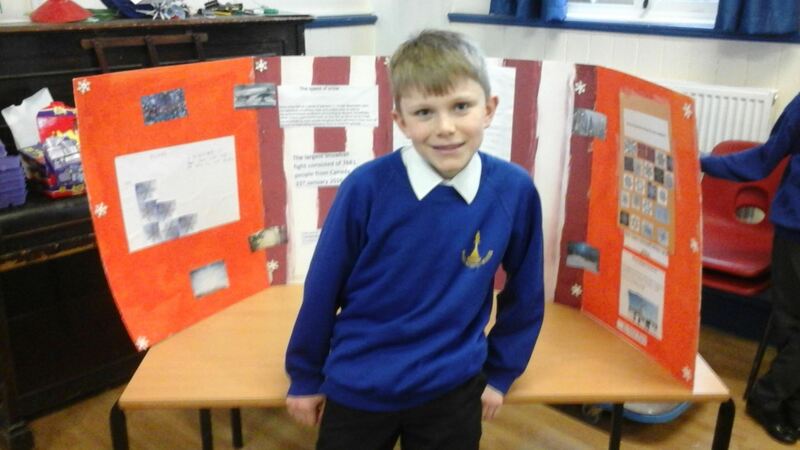 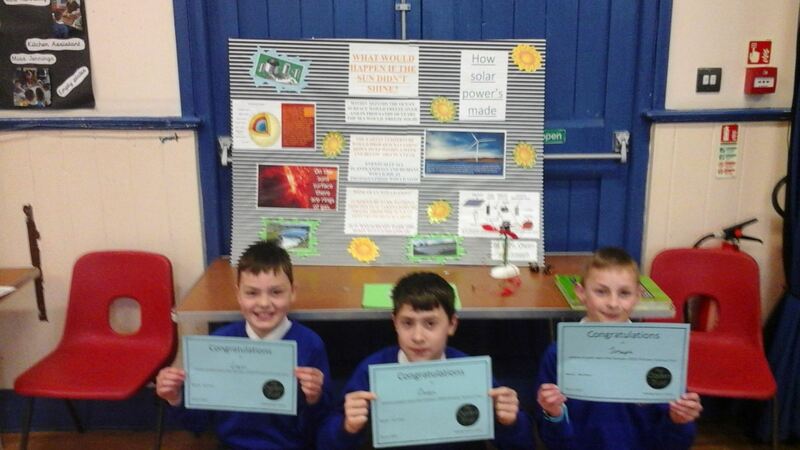 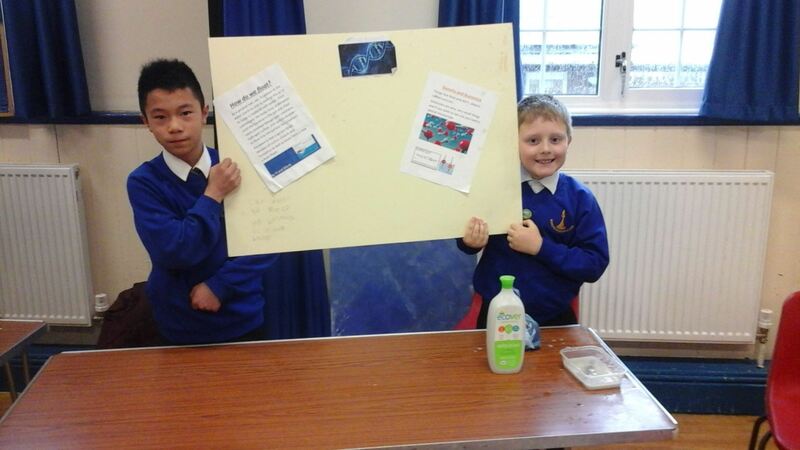 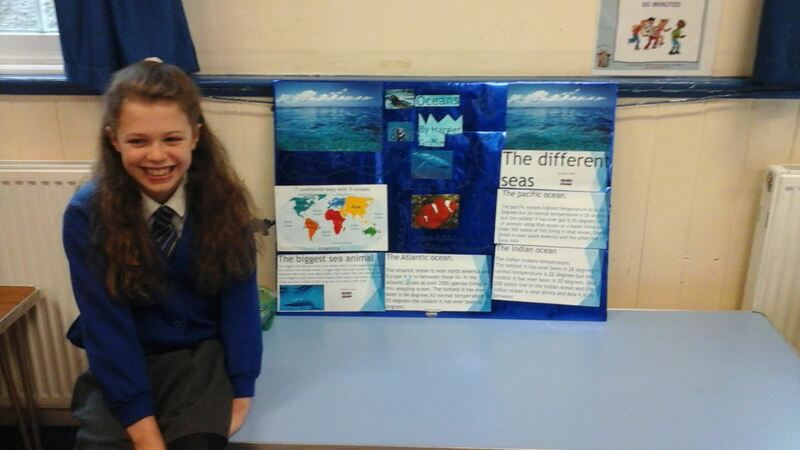 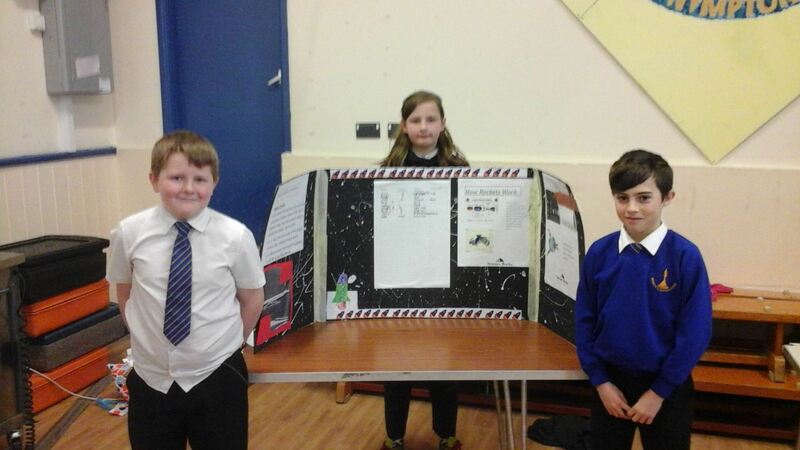 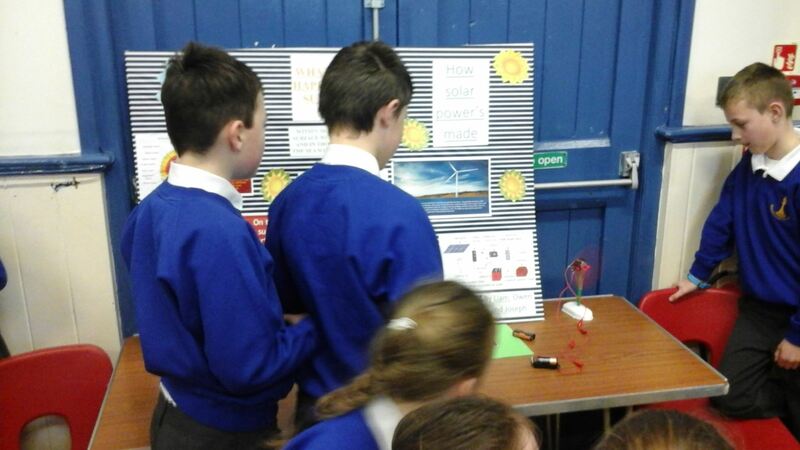 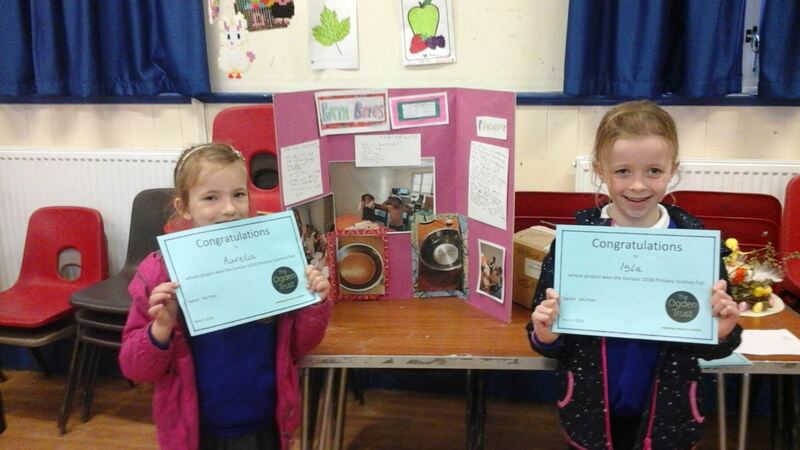 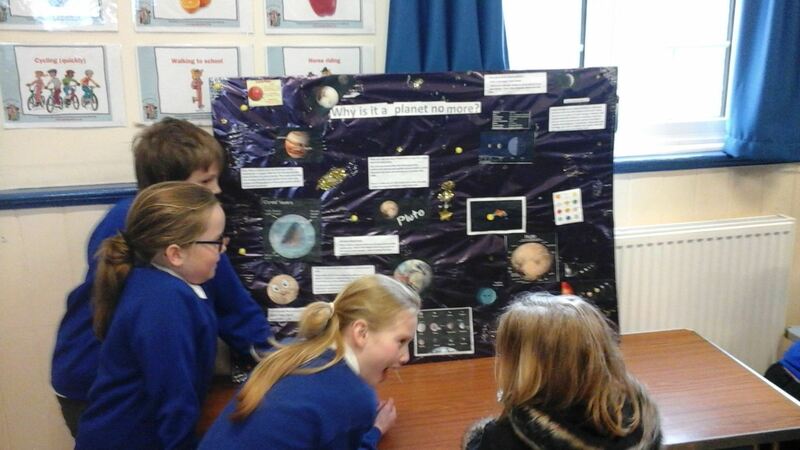 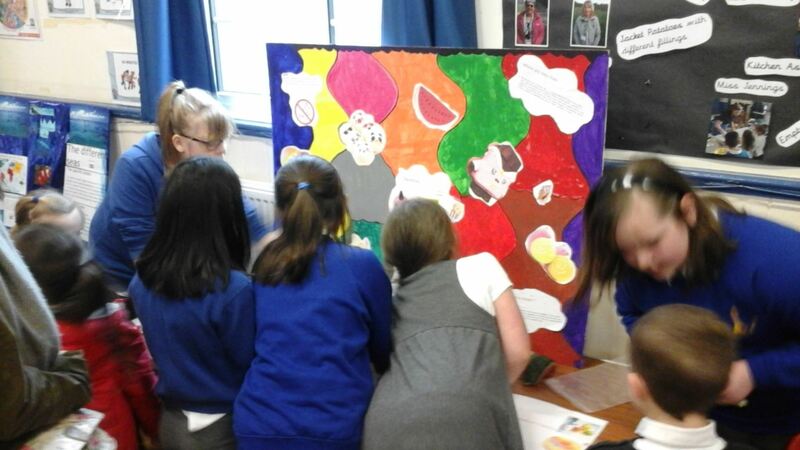 A belated well done to all the children who took part in the science fair at Bishops Nympton Primary School before the Easter break. 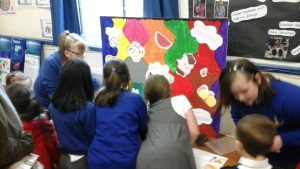 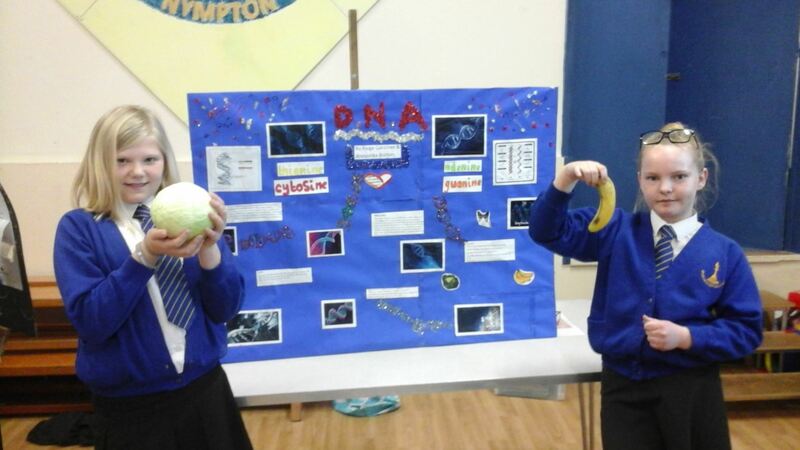 The children were invited to investigate and research a scientific topic of their own choosing, enabling them to present their findings to the school community during an open event. 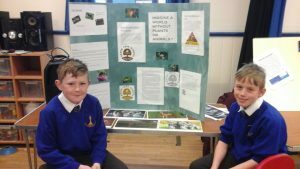 As part of the Ogden trust, an initiative set up to inspire children into the world of science, these science fairs have been taking place in various schools across the county. 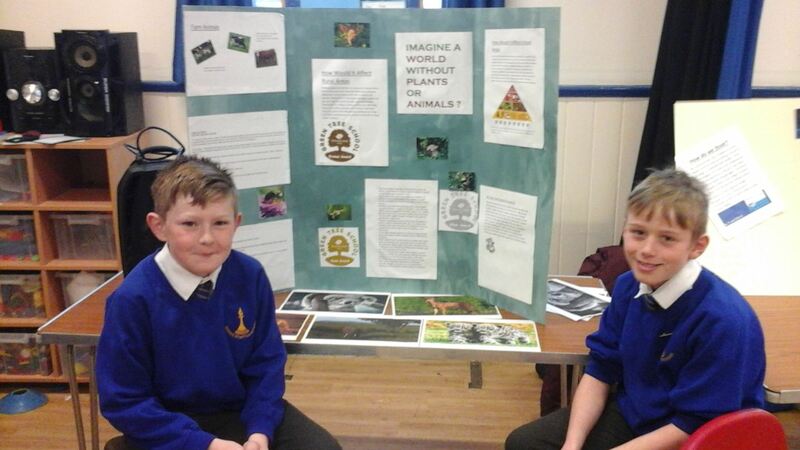 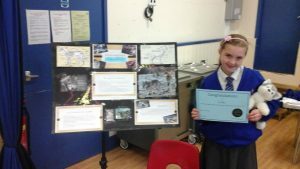 A select winning group of scientists from each school will then have the opportunity to demonstrate their scientific knowledge at a science fair held at Dulverton All Saints Primary School this Tuesday evening. It was astounding to see the efforts and the knowledge gained through this initiative as everyone who took part presented their findings in a visually appealing and intellectual way. 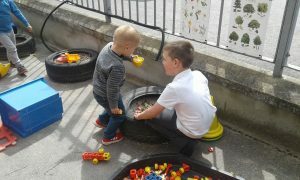 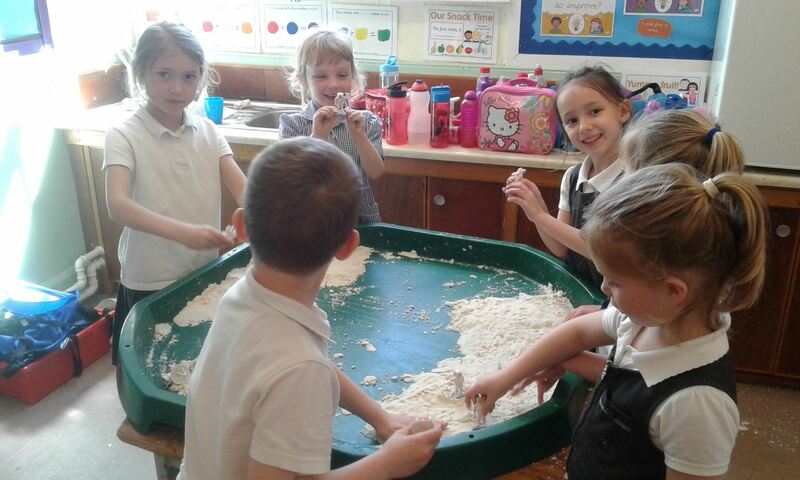 The children had clearly took control of their own learning and could be seen passing on their knowledge to peers, parents and other members of our school community. 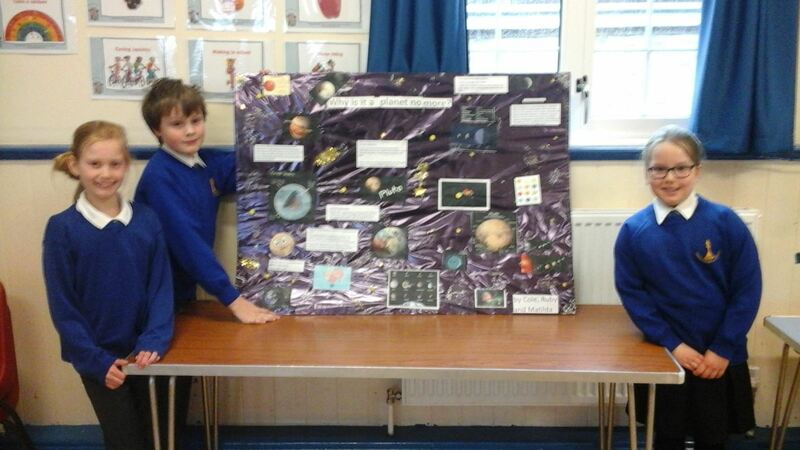 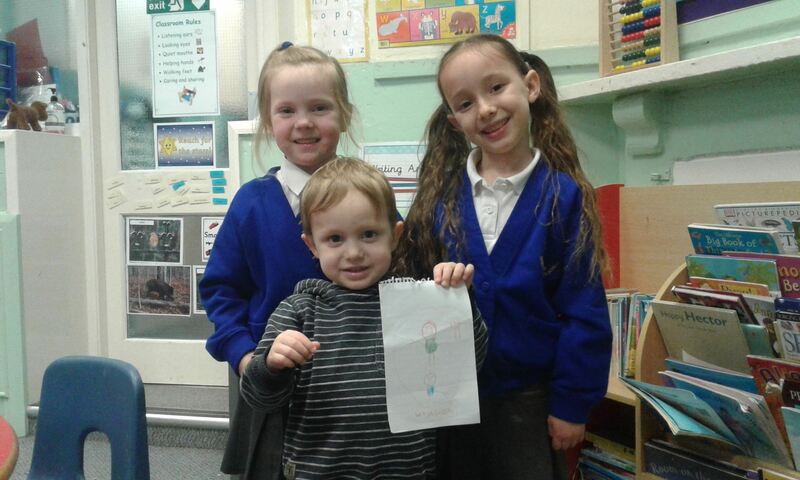 Well done to all of our budding scientists.